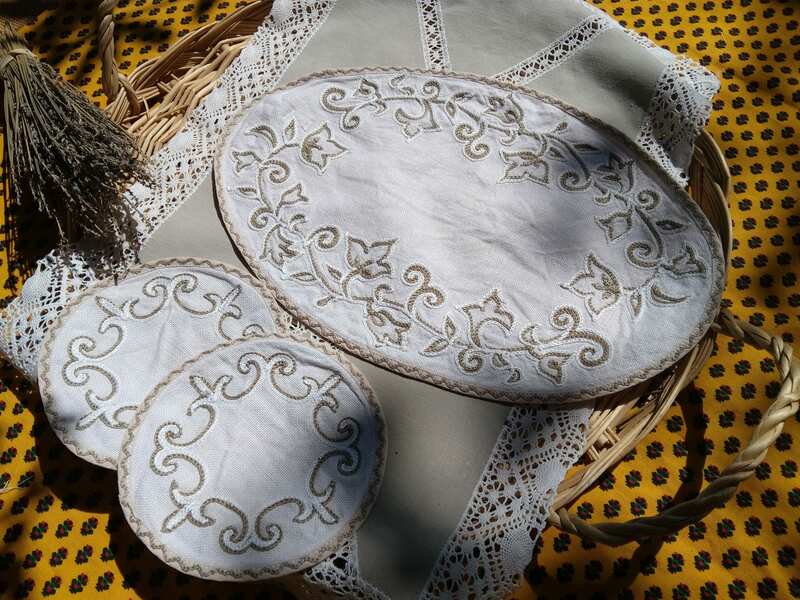 Original French Hemp Doily and 2 Coasters. 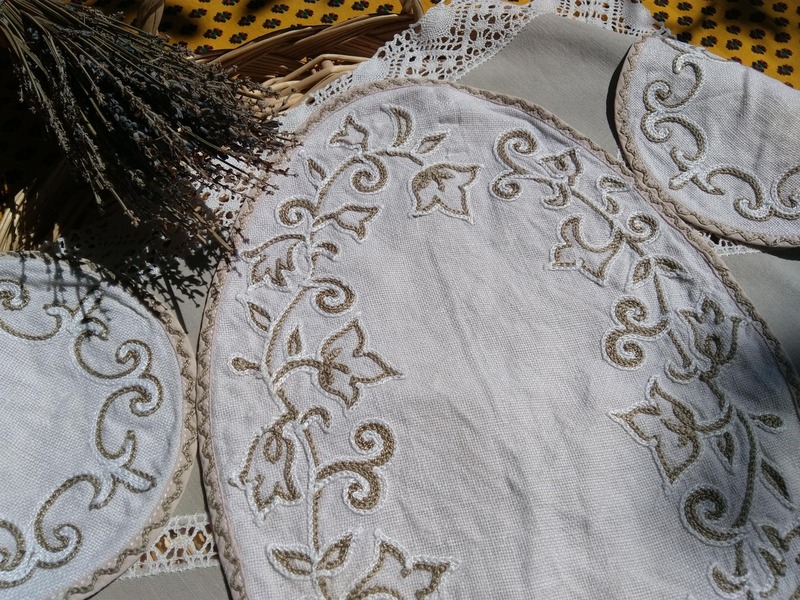 Hand embroidered. 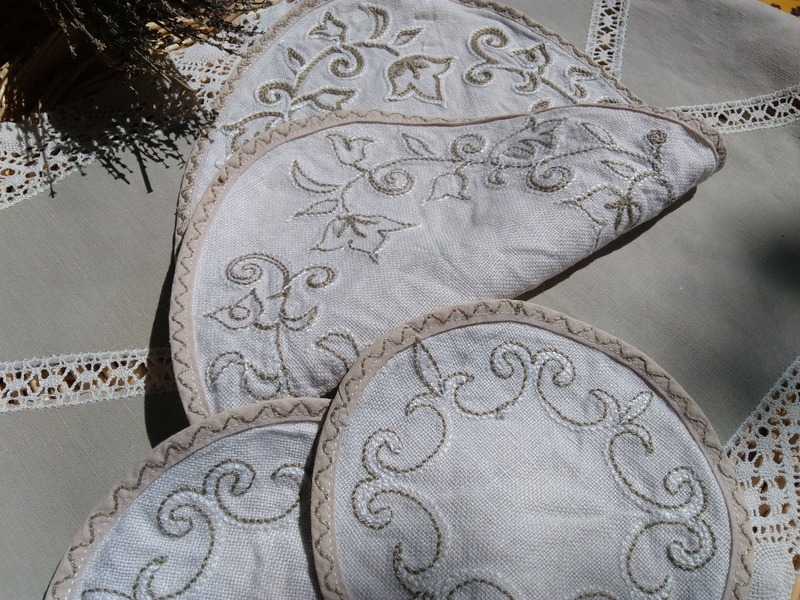 Hemp Table Center Doilies. 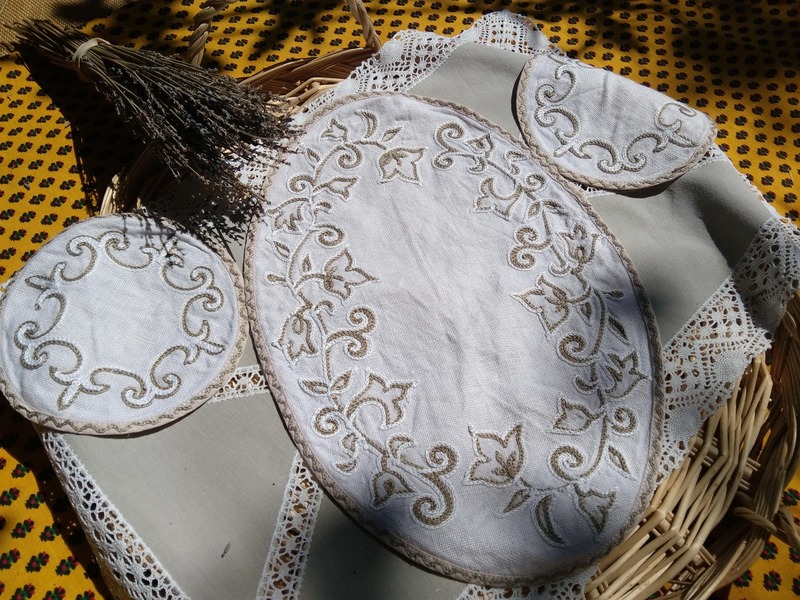 Beige leaves hand embroidered ribbon trimmed. 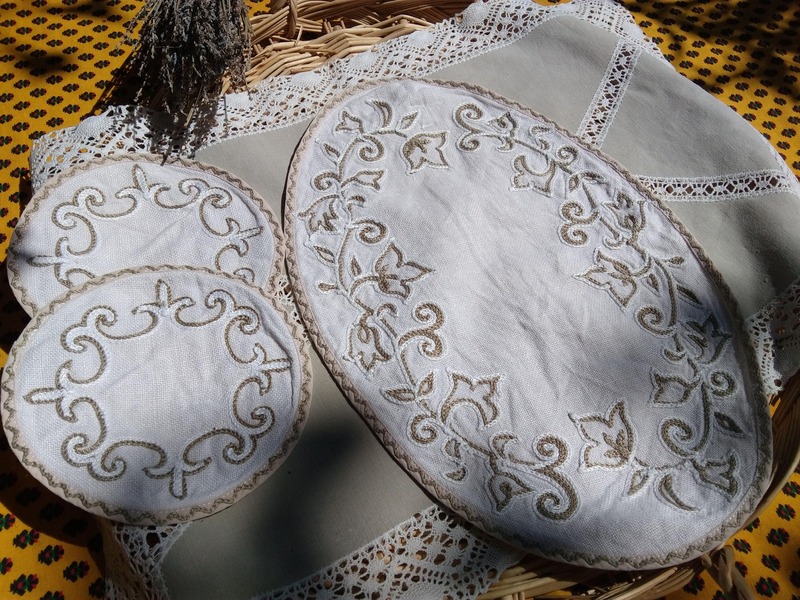 Gorgeous pieces to use as a doilies or for sewing assemblage !